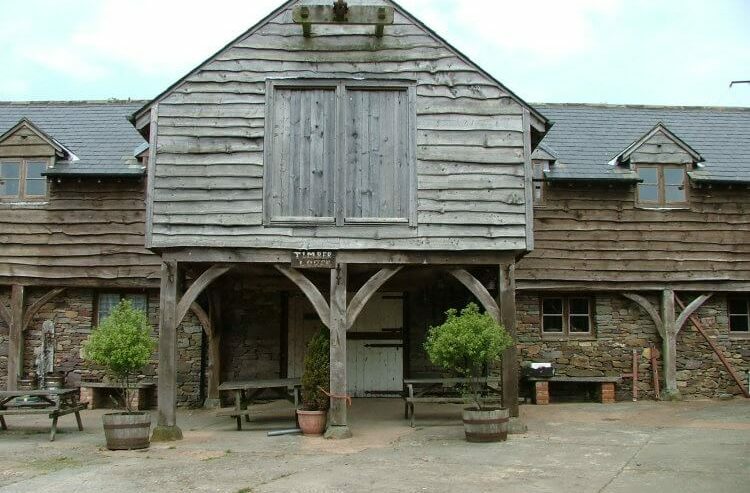 Located a mile outside the town of Dulverton on Exmoor, Northcombe Camping barns sleep up to 44 in two barns, converted from a watermill, on a working farm. The location in the Barle river valley with good canoeing, walking and bridle-ways makes it the perfect base for groups wanting to get out into the beautiful Exmoor countryside. The barns sleep 16 and 28 in partitioned dormitories. Smaller groups can be catered for. The wood burning stoves heat the communal areas and run the central heating for the bedrooms (barrow load of logs: £5) electricity is on a £1 meter. The kitchen is well equipped with cooker, fridge, microwave, kettle, toaster, pots, pans, crockery and cutlery. Visitors must bring their own pillows, sleeping bags or quilts and warm clothing is advisable in winter. Northcombe is a place to get away from it all so there is no WifF but guests are welcome to use the WiFi at Woods Bar and Restaurant in Dulverton for free. Dogs welcome if kept under control at all times. This accommodation is featured on our map of Devon, Cornwall and the West Country and here is its own website. Sole use: Barn16 from £160, Barn28 from £260. Showers 20p. Electric meter £1 coins. From Dulverton High Street take Hollam Lane at the left hand side of The Rock pub. After ½ mile turn left signed Northcombe Farm. Follow the farm track past the farmhouse and modern barns to the camping barns. Train at Taunton, Buses from Taunton to Jury Road Garage, Dulverton about 25 minutes uphill walk away. 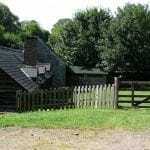 This accommodation allows dogs by arrangement, is in a National Park, is available only to groups, has a pub within walking distance and is on the The Dartmoor National Park & Exmoor National Park map, the The Land's End Trail & Mary Michael Pilgrim's Way Map, the camping barn map and the . Well here’s a charming rural retreat! This is almost the platonic ideal of the word ‘rustic’. 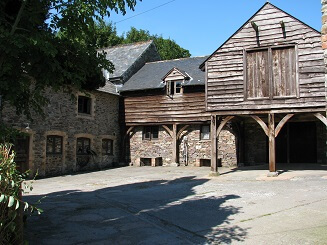 Take a look yourself at the website for Northcombe Camping Barns, and you’ll see what I mean. Nestling at the end of a lane in a rolling valley on Exmoor, the building is converted from a wooden watermill . Their gallery of pictures shows interior and exterior with twisted beams, bare timber tables, crooked supports. A building which feels grown from the landscape. Its a cut above your usual camping barn as far as facilities are concerned. Heat is provided by a wood burning stove, which feeds the hot water too, and there’s a well-equipped kitchen. They accommodate groups and take up to 44 people. If you take a trip to Northcombe Camping Barn, the joys of Exmoor will be delivered on a plate. Footpaths through the woods and onto the heights are right outside your door. Rumour has it that there is good canoeing to be had on the nearby river as well. What a great place to explore and, like the barn itself, feel part of the landscape. A rustic retreat on Exmoor close to the town of Dulverton. The Northcombe Camping Barns, another Ex-YHA recruit to the independent hostels network, are better equipped then your usual camping barn. There are two barns and they have wood burning stoves (with heating for the bedrooms) and fully equipped kitchens. You will still need sleeping bags and warm jumpers for the dinning and social areas which show the stunning exposed timbers in the roof way above. 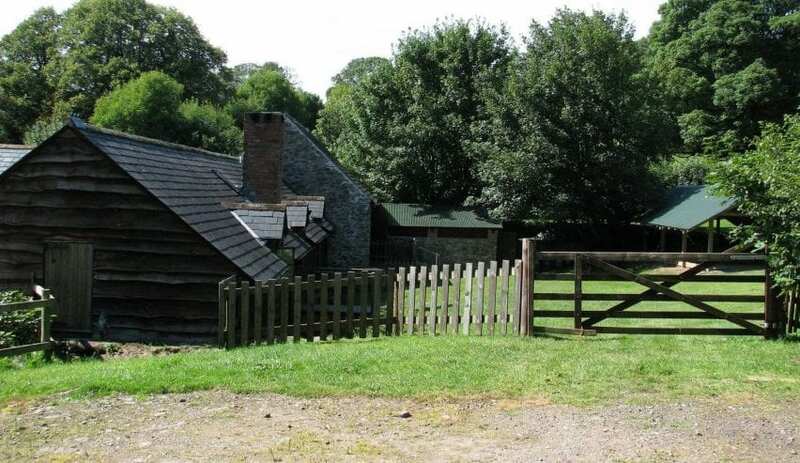 Get away from it all on this working farm on Exmoor, a rustic retreat close to the town of Dulverton.